How was it that within a short span of time on the east coast of the North American continent there should have sprung up such a rare array of genius – men who seemed in virtual command of historical experience and who combined moral imagination with a flair for leadership? We know those men as the Founding Fathers. A young man like James Madison had urgent thoughts about what people had to do to become free and remain free. Not content to just set these thoughts down in print, he joined those concerns to those of other men in a position to exert leadership. The intellectual exchange – in person and in letters – between Thomas Jefferson and John Adams spanned over 50 years, beginning when independence was just a dream and continuing long after the United States of America had become an established government. This exchange knows few equals for depth, range of subject matter, literary style and general intellectual achievement in recorded correspondence. George Washington and Benjamin Franklin registered their main impact on their contemporaries through the force of their personalities rather than through any detailed exposition of their political ideas and philosophy. It was from men like these that the idea of a new nation was born. Their thoughts were expressed in The Declaration of Independence. Drafted by Thomas Jefferson between June 11 and June 28, 1776, the Declaration of Independence is at once the nation’s most cherished symbol of liberty and Jefferson’s most enduring monument. Here, in exalted and unforgettable phrases, Jefferson expressed the convictions in the minds and hearts of the American people. 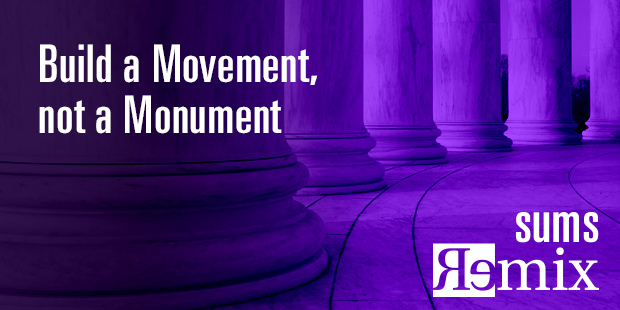 The political philosophy of the Declaration was not new. John Locke and the Continental philosophers had already expressed its ideals of individual liberty. What Jefferson did was to summarize this philosophy in “self-evident truths” and set forth a list of grievances against the King in order to justify before the world the breaking of ties between the colonies and the mother country. 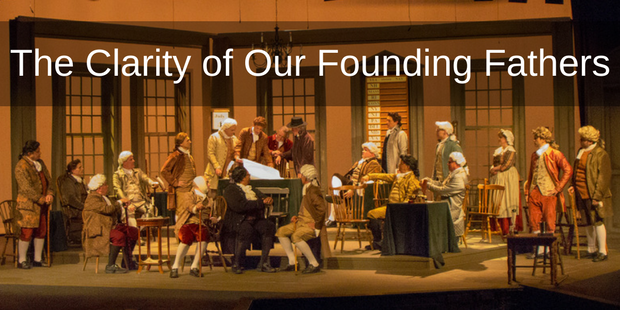 On July 1, 1776, Congress reconvened. The following day, the Lee Resolution for independence was adopted by 12 of the 13 colonies, New York not voting. Immediately afterward, the Congress began to consider the Declaration. Adams and Franklin had made only a few changes before the committee submitted the document. The discussion in Congress resulted in some alterations and deletions, but the basic document remained Jefferson’s. The process of revision continued through all of July 3 and into the late morning of July 4. Then, at last, church bells rang out over Philadelphia; the Declaration had been officially adopted. That our affairs might take a more favorable turn, the Congress have judged it necessary to dissolve the connection between great Britain and the American colonies, and to declare them free and independent states; as you will perceive by the enclosed Declaration, which I am directed to transmit to you, and to request you will have it proclaimed at the head of the army in the way you shall think most proper. In a ringing preamble, drafted by Thomas Jefferson, the document declared it “self-evident” that “all men are created equal,” and were endowed with the ‘unalienable” rights of “life, liberty, and the pursuit of happiness.” And to this noble end the delegates had pledged their lives, their fortunes, and their sacred honor. From this point on, the citizen-soldiers of George Washington’s army were no longer fighting only for the defense of their country, or for their rightful liberties as free born Englishmen, as they had at Lexington and Concord, Bunker Hill, and through the long siege at Boston. It was now a proudly proclaimed, all-out war for an independent America, a new America, and thus a new day of freedom and equality. At a stroke the Continental Congress had made the Glorious Cause of America more glorious still, for all the world to know, and also to give every citizen soldier at this critical juncture something still larger and more compelling for which to fight. Clarity isn’t everything, but it changes everything. Here are my observations…many leaders default to what we call generic vision. Generic vision is akin to having no vision at all. There are several different types of generic vision. They all take a kind of general tone like love God and love people, reach more people, or go make disciples. As an organization, we consider ourselves a team of Navigators. You, the client, are the content experts. You and your organization are unique. You consist of a unique people, in a unique place, and with a unique passion. There is no one or any given place quite like you. At the same time, our navigators are process experts. We believe God is at work in you and a great navigator with the best process tools should serve you well in helping you discover God’s unique vision for your church. We have seen it work hundreds of times and we believe it can work for you. Go ahead and check it out for yourself. We included our entire process and many of our tools in a book by our founder Will Mancini titled God Dreams. > Read more from David. Connect with an Auxano Navigator to learn more about leading with confidence and courage through vision clarity. David is a Lead Navigator serving on the Auxano Team, the category leader in vision clarity and vision focus campaigns. He is also founder leader of Planting the Gospel a non-profit ministry committed to helping churches move discipleship from a program to a culture. He has been involved in church planting for over twenty years as a planter, strategist, and coach. He is author of I Woke Up In Heaven, The Gospel Disciple, Detox for the Overly Religious, Breaking the Discipleship Code, and co-author of Breaking the Missional Code with Ed Stetzer. 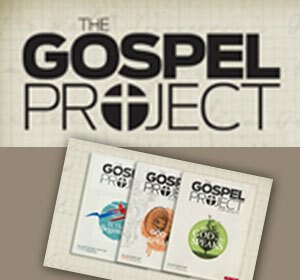 He latest book The Gospel Disciple Journey will be released in February 2014. David’s life mission is to help others discover the simplicity, centrality, and beauty of Jesus and his ways. David is married to Tami and they have two awesome kids, and two even more awesome grandkids. Does your church dream more about where you have been than where God is leading you? Have you ever looked around to realize that your church might be living today by focusing on yesterday? Many churches long for the past, dreaming about the “good old days.” When faced with questions that are not easily answered, or walking through times of trial and doubt, churches, like people, often want things to be the way they used to be. The problem is, the past has gone. While we may look back and respect it, and maybe even at times revere it, we cannot live in the past, especially when circumstances demand answers for the future. Solution #1: Protect the past while envisioning the future. Church Unique, by Will Mancini, describes a new kind of visioning process designed to help churches develop a stunningly unique model of ministry that leads to redemptive movement. He guides churches away from an internal focus to emphasize participation in their community and surrounding culture. 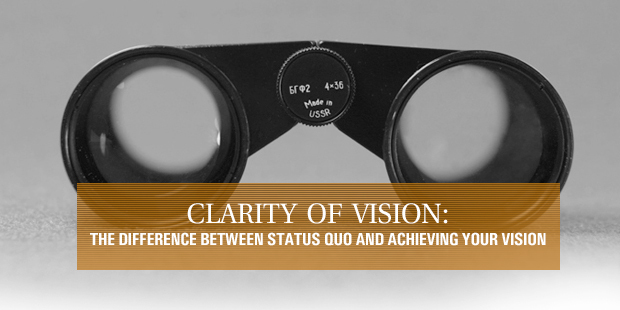 Mancini offers an approach for rethinking what it means to lead with clarity as a visionary. He does this by explaining that each church has a culture that reflects its particular values, thoughts, attitudes, and actions and then shows how leaders can unlock their church’s individual DNA and unleash their congregation’s one-of-a-kind potential. Bold aspirations must be rooted in the values and visions that have come before. For you to be alive and in touch with God’s work in the world, you were necessarily touched by the vision of others who came before. 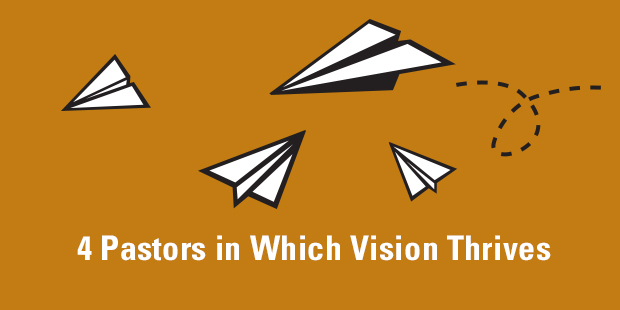 Leaders should look for the artifacts of vision every day within their specific ministry contexts. An ongoing discover of uncovering and appreciating the visionary contributions of past and present help prepare your own unique vision to take shape. Visionary leadership is the art of protecting the past as we champion the future. We must listen carefully to the ones who have gone before us and learn about their vision. How does their vision intersect with what God is calling us to do? What artifacts of vision exist in the past that can be used to support our vision of the future? Uncover the creation story – all vision has a creation story, the events and the passion that birth the idea of a better future. Visionary leaders uncover every creation story in the lineage of the people they are influencing. Collect the hidden gems of vision vocabulary – in the articulation of past vision, there are key terms that live large with meaning. They are “words within the walls” that often stay undiscovered or unpolished. Consequently, they are undernoticed and undercelebrated. Find the “Hall of Fame” memorabilia – Behind the pictures on the wall, the stained glass windows, and the sound system of your church home are the stories from the people who have forged the character of your church. These “hall of fame” memorabilia speak stories to your church’s uniqueness. Dedicate 20 minutes at the beginning of your next three team meetings to discuss the three vision artifacts listed above. Meeting Number 1: Uncover the creation stories – the problem with most stories of the past is that they remain in rough form, half-buried in the conscious of the organization with few people who can recall a God-moment that got it started to begin with. If your church is more than five decades old, there may be few, if any, living members who were present at the birth of your church. 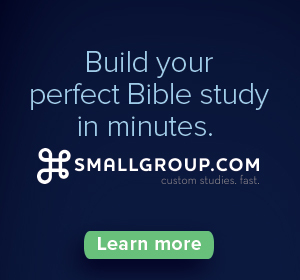 Create a plan to recover lost or half-buried memories of your church’s creation stories from long-term members, attic crawl spaces, newsletter archives, or historical documents in your community. The end result should be documented, sharable stories of your church’s birth and ensuing growth that serve as momentum to move forward into what God has for tomorrow. Example: Use significant historical changes like a relocation or renovation to fuel vision for significant changes that lay ahead. Meeting Number 2: Collect the hidden gems of vision vocabulary – as your teams complete the work of uncovering the creation stories, alert them to be intentionally looking for words and phrases that are often repeated or seem to have significance attached to them. Make sure the teams collect these words and phrases for others to see and enjoy. As you review these words and phrases, consider how they may be polished and integrated into the living language of your church today, as a way of honoring the past while honing language for the future. Meeting Number 3: Find the “Hall of Fame” memorabilia – as your teams complete the work of uncovering the creation stories, also alert them to listen for mentions of items and objects to which others have attached importance. Most importantly, record the stories behind those objects that give them significance. Make sure the teams note these items and importance. An old window, chair, or other random object could serve as inspiration from where we have been to get where God is leading. Taken from SUMS Remix 22-1, published September 2015. This is a weekly series posting content from one of the most innovative content sources in the church world: SUMS Remix Book Summaries for church leaders. SUMS Remix takes a practical problem in the church and looks at it with three solutions; and each solution is taken from a different book. As a church leader you get to scan relevant books based on practical tools and solutions to real ministry problems, not just by the cover of the book. Each post will have the edition number which shows the year and what number it is in the overall sequence. (SUMS provides 26 editions per year, delivered every other week to your inbox). Why Doesn’t Your Church “Get with the Program”? 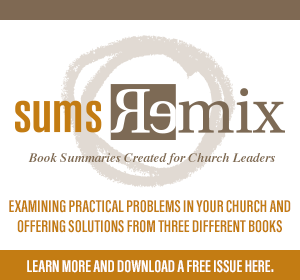 Below is a weekly series posting content from one of the most innovative content sources in the church world: SUMS Remix Book Summaries for church leaders. SUMS Remix takes a practical problem in the church and looks at it with three solutions; and each solution is taken from a different book. As a church leader you get to scan relevant books based on practical tools and solutions to real ministry problems, not just by the cover of the book. Each post will have the edition number which shows the year and what number it is in the overall sequence. (SUMS provides 26 issues per year, delivered every other week to your inbox). Are you finding yourself on a ministry treadmill, where the busyness of ministry creates a progressively irreversible hurriedness in your life? Today’s demands can choke out needed dialogue for tomorrow. When this occurs, your multiplied activity prevents you from living with a clearer vision of what should be. In this issue of SUMS Remix you will find a solution to help you find this focus: Over-communicate vision clearly and consistently. When you find yourself on a ministry treadmill, constantly in motion but going nowhere, step off and learn how to connect with your team and organization with clarity by over-communicating vision clearly and consistently. 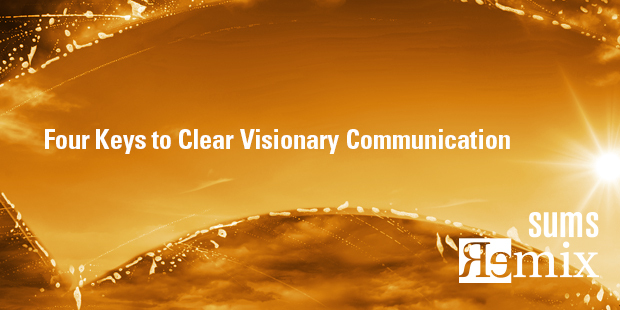 To learn more about visionary communication, start a conversation with the Auxano team today. Taken from SUMS Remix 28-1, published November 2015. Good church leaders know the importance of releasing and sending people to do ministry. Jesus himself moved quickly from modeling ministry for twelve leaders, to sending out those same twelve to do ministry on their own (Luke 9:1). Yet in observing hundreds of churches from coast to coast, not all “releasing” is the same. In fact, there is a good kind and a bad kind. And if you don’t the difference, your ministry will be limited for the rest of your life. Let’s say a pastor is consistently recruiting volunteers to initiate and lead in multiple environments like groups, classes, and teams. And let’s say he has just recruited ten new small group leaders. In the next week, let’s imagine these ten leaders will be facilitating some kind of learning and relationship building in homes for the sake of Jesus— a common snapshot of small group life in the American church. What will actually happen in those homes? In this scenario the most common kind of “releasing” is fragmentation. That is, we are not just splitting up and breaking into “smaller chunks of people” with regard to ministry time and place, we are also dividing and breaking apart the shared intent within each time and place. The biblical and effective way to “release” is not fragmentation but decentralization. That is, taking some centrally defined intent and executing them without a central person or place defining the experience. Most ministry activity is fragmented not decentralized because there simply no clarity of shared intent, no cultivation of shared values, and no development of shared abilities within the church. In short, their is no shared vision, just many little mini-visions everywhere a ‘piece’ of the ministry gathers. The few ministries that operate a decentralized ministry have gone to great lengths to build a well defined vision first. Something other than a central pastor or central church building define the what, why and how of reality where ever groups, classes or events meet. That something always brings shared meaning in the form of ideals, goals, dreams, tools, approaches, stories, etc. To illustrate, Alcoholics Anonymous is a decentralized organization. This successful program happens with no central person or place to guide it. But there is a central methodology—12-steps—with a defined set of values and practices that guide the experience of de-centralized communities. What central methodology guides the experiences of your classes or groups or teams? 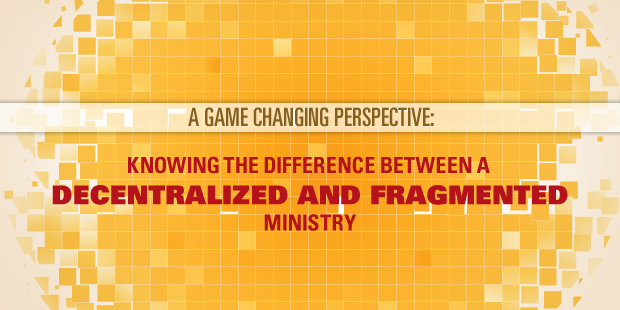 Is your ministry fragmented or decentralized? It is tempting to try to explain these concepts with metaphors like “the starfish and the spider” or apples and oranges. There are several quick and dirty metaphors out there. But based on your unique church context those metaphors may or may not work. That’s why I am working on a better metaphor or illustration for another post. I would love to hear your ideas if any come to mind. Recently a friend called looking for some advice. She and her husband were at a crossroads. A few years ago they had sold their home and most of their possessions, left family and long-time friends to take a job across the country. They knew it was risky adventure, but they were compelled by the vision of this organization. The organization had some audacious goals but not outside of the realm of possibility. They were excited about the possibilities. They asked lots of questions and took time to process with friends and mentors. They sought God for guidance and eventually made the leap. Now they were struggling. They had made tremendous sacrifices only to discover that the organization really wasn’t ready to pursue the vision they had cast. This family was in upheaval because a leader didn’t fully understand the power of vision. Sound crazy or extreme? Sadly, change the names and organizations and I hear a version of this story nearly every day. Vision is essential for individuals, teams and organizations. Proverbs reminds us “without vision people perish.” Those of us who are visionary by nature use this scripture to help us find significance in the visionary gift that we have. But visions are dangerously powerful and a leader who doesn’t understand that power has the potential to cause irreparable damage to the people they lead. One of my greatest concerns for leaders is that we don’t fully grasp the weight of our influence on others. Influence by definition means, “the power to change or affect someone.” Let this sink in… the POWER to change someone. Our position of influence gives us power that quite literally changes or at a minimum affects another person’s life. You understand this… Think about the influence your parents have on your life. Think about your first boss. Think about your soccer coach or piano teacher. Your life has been shaped by their influence, positively and negatively. Visionary leaders create hope and possibility. They appeal to people’s dreams and goals. They define a preferred future. The better a leader is at casting a compelling vision, the more influence they wield. At their best, a visionary not only casts an inspiring vision, but they have the wherewithal to see that vision come to fruition. And while people may perish without a vision, we also know that “hope deferred makes the heart sick.” When a leader does not have the ability to see a vision become a reality, they create pain and hopelessness for those they lead. Refine your vision with the wisdom of others. Visionary leaders nearly always underestimate what their ideas will entail. Because they are often removed from frontline activity, they have lost touch with what it takes to bring an idea to life. Don’t cast your vision to the masses until you’ve worked it out with a team of people who can help you understand what it will really take. And by the way, make sure you really listen in this conversation. Your gregariousness and charm can woo others easily. Slow down and be cautious. Once you’ve received critical feedback, count the cost for accomplishing this vision. What will it take? What will you risk? Who will take risks? What will it cost? Get in touch with reality. As you’ve processed the impact and the cost, think through the critical points in this vision. What key conversations will you need to have? Who may try to derail it? How likely are they to succeed? What difficult decisions will you have to navigate in order to keep the vision on track? 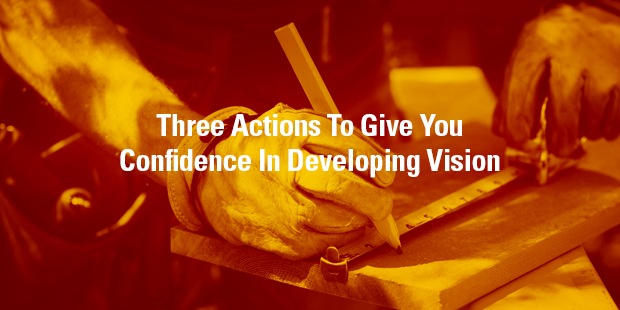 What happens and who is impacted if the vision isn’t realized? Count the cost. What will this require of you? Will it pull you from other priorities and if so, what is the potential impact? What will it take financially? Do you have the margin to pursue it? What will it require of your staff? What will they give up? If you’re recruiting people based on the vision, what are they risking and if you were in their shoes would you take the risk? Proceed humbly. If you have taken the time to process well and feel compelled to move forward with the vision, hold it humbly. Acknowledge what it is requiring of everyone, every step of the way. Evaluate your “why”. What motivates you to this vision? Is it a vision you would pursue even if it cost you everything? Too often I see leaders cast a vision and pursue it without a full understanding of the cost and impact. We get starry-eyed with the thrill of accomplishing the goal, that we underestimate what it will cost, especially in human capital, to achieve it. We’ve seen this play out with the business professional who scales the corporate ladder at the expense of his family. He cast a vision for why working hard would acquire their grand “American Dream” but they underestimated the sacrifice of their relationships. We’ve witnessed the fast-growing church with their audacious growth goal that gets blindsided by a moral failure. They were racing so fast towards the vision that they blew past the warning signs. We’ve read the stories of start-up companies that hire for rapid growth only to make drastic cuts when investment funds run out. Visions have enormous power. And visions in the hands of strong leaders wield extraordinary power. Power in and of itself is not bad, but power wielded carelessly leaves carnage. 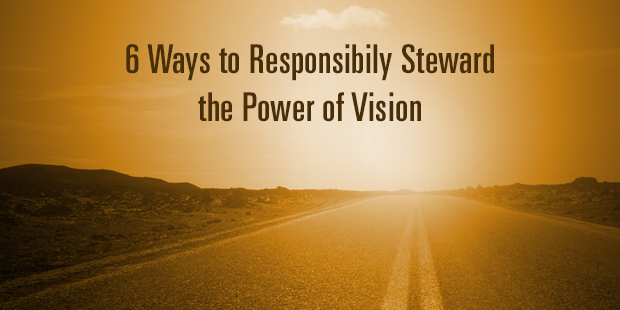 Leaders, you have the sacred responsibility of stewardship. And two of the most precious things you’ll steward are vision and people. They are inextricably linked – “without vision people perish” but without people, visions are just pipe dreams. We need you to be visionaries. We need you to dream great, God-sized dreams. Please don’t shrink away from that. However, we need you to equally recognize the power of those visions and if they are not birthed of God and nurtured with humility, you risk wielding your power dangerously. Leadership is sacred work. Visionary leadership is powerful work. May you sacredly steward your power for the glory of God and the good of others. Read more from Jenni Catron here. Do you need a plan for the future and are interested in learning more about Auxano’s Vision services? Click here. Jenni Catron is a writer, speaker, and leadership expert committed to helping others lead from their extraordinary best. Jenni’s passion is to lead well and to inspire, equip and encourage others to do the same. She speaks at conferences and churches nationwide, seeking to help others develop their leadership gifts and lead confidently in the different spheres of influence God has granted them. Additionally, she consults with individuals and teams on leadership and organizational health. Jenni is the author of several books including Clout: Discover and Unleash Your God-Given Influence and The 4 Dimensions of Extraordinary Leadership. Jenni blogs here and contributes to a number of other online publications as well. Outreach Magazine has recognized Jenni as one of the 30 emerging influencers reshaping church leadership. I was having a conversation with Bryan Rose on the Auxano team recently. We broached the topic of “pastors who get it.” That is, we discussed the kinds of pastors who really press through the vision process to gain great clarity. These pastors lead with humility and tenacity. These pastors build great churches. These pastors see the kingdom grow right in front of their eyes. These are the true visionaries. We believe these leaders fit almost perfectly into one of four categories or four types of pastors. These are four types of pastors that are willing to learn, discern and do the hard work of visionary leadership. Another way to say it is that these pastors are leading today what will be the great churches ten and twenty years from now. WHAT ARE THE FOUR TYPES? These pastors are sharp younger leaders (20s and 30s) who are in tune with their personal calling and dialed in to the prevailing issues of popular culture. They are probably in a new role that brings new responsibility; or they may be launching out on their own as a church planter. They are naturally hungry to learn. They are culture savvy and they are connected to the people they are leading. They understand that they don’t know everything about organizational leadership. They are humble enough to invite a coach to the table. But their humility does not dilute their tenacity. They are the new breed of visionaries. They are tired of the old scorecards and will do whatever it takes to communicate the substance of the culture and vision of the church. Client profile: Jason Webb at ElmBrook Church recently completed a 9-month vision framing process. “Rookie” doesn’t reflect Jason’s stellar church planting track record. But as a 30-something leader walking into a 5,000 plus attendance church, others might assign that adjective. (Especially when following in the footsteps of Stuart Briscoe and Mel Lawrenz, two former senior pastors.) Jason did an amazing job stewarding a vision process with a highly tenured team. They are 8 months into their vision roll-out. The completely new sense of team is felt and focus on the future is extraordinarily clear. 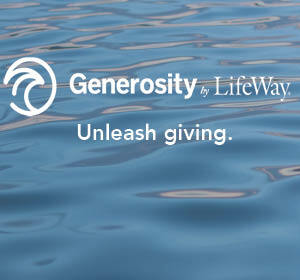 Their passion is to help spiritually adrift people become rooted and released in Jesus Christ. On the opposite end of the “rookie” spectrum is the legacy minded pastor. These pastors have likely led for decades in the same church. They have a lifetime of trust building and faithful service creating solid and influential ministries. But they know that times are changing. They are now aware of the generational pattern of failed successions of senior pastors. They are not quite ready to pass the baton or even make any long-term succession announcements, but they want to start putting the house in order. They are probably 3-7 years away from leaving their position. They want to be more relevant. They want to re-clarify what their church can do best and re-align ministries to strengthen impact. They are tired of just doing more and want to prune ineffective ministries. They want to leave a strong and self-aware church to their eventual successor. 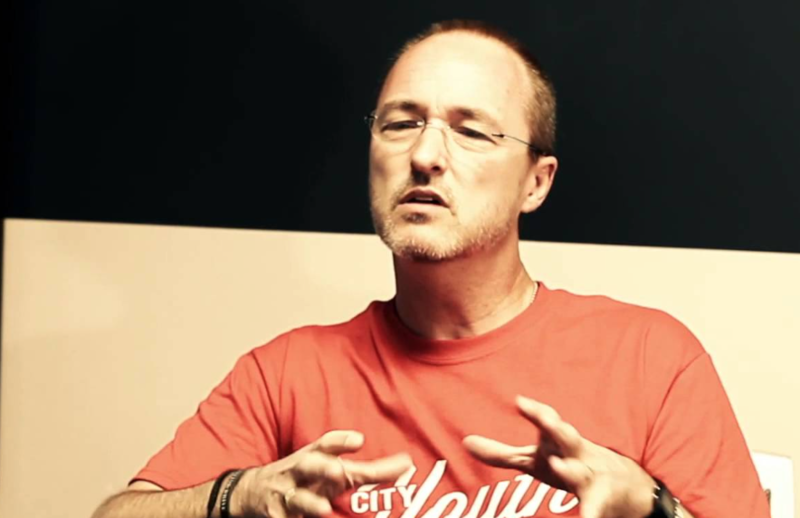 Client Profile: Pastor Clint has been leading his church for 25 years. At age 62, he feels that he has at least five more years left. He has built one of the best megachurches in North America. The church is getting older than people want to admit. Even though younger leaders are present, they are not present with serious responsibility yet. Pastor Clint has raised the money to do a 12-month vision process and it has reinvigorated his life and ministry like nothing before. As each month brings increasingly clarity, he is leading better, allowing others to lead better and is gaining confidence toward the long-range future. The newly stuck pastor has a very simple story. You keep growing until you don’t. After five or 10 years of year-over-year growth, the church just stops growing. Giving is not going up; or at least not as much. By the way, you know you are in this place when you push really hard to “feel like you are growing” even though, deep inside, you know you are not. For example, attendance may be flat, but you put your hope in the fact that the church had slightly more attendance at Easter. Or you keep focusing on a few months where giving is slightly higher. You take momentary relief in the trend that your most faithful members attend church less. To make matters worse, if you look around the church, everything is going fine. All cylinders are hitting. Buildings are great, staff is relatively healthy. It’s hard to know why the growth is not just happening any longer. The truth is that the organization is perfectly designed to get the results that it’s getting. Something about the structure, the culture, or the complexity of the church is holding it back. But because all of the successful years, the answer is not obvious or automatic. Finally something happens: you realize you need some perspective from the outside. You’ll do whatever it takes to break that glass ceiling. Client Profile: Pastor Dan is 55 and has been leading a church for 10 years. Five years ago the attendance plateaued at around 1,600 in weekend services. He has kept hoping for the best and has become increasing bothered by their lack of growth. In fact, they built seating capacity to handle double their current attendance. Every Sunday, Dan feels the pain of the empty seats On Sabbatical two summers ago, he read Church Unique and began to think about both his vision and his organization dynamics. Recently he finished a 12-month vision framing process. He is more excited than ever to be in ministry. He is seeing people excited as he creates and models a culture of mission. He is leading with vision like never before. Attendance is already on the rise and giving has dramatically picked up. There are two types of rapid-growth pastors: those who fixate on attendance only and those with a passion for disciple-making in a growing church context. I work primarily with the latter and that is the profile I am now describing. These pastors understand that all growth is not good growth. They understand that growth out of alignment in the human body is called cancer. What then, do you call growth in the body of Christ that is out of alignment with the DNA of Jesus? 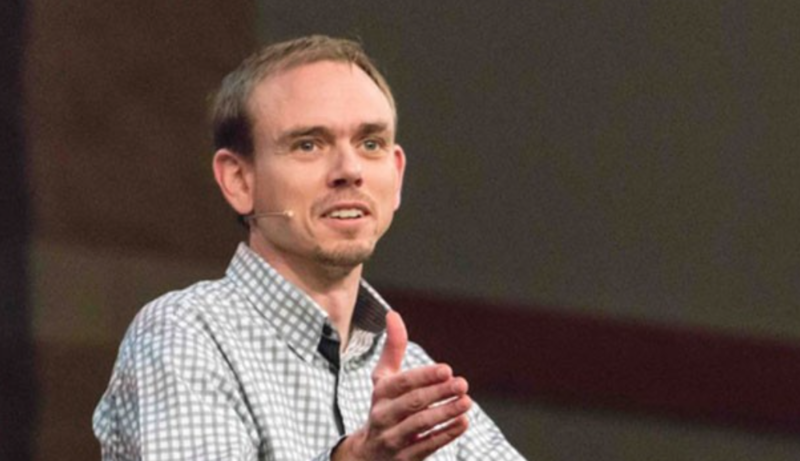 The rapid growth pastor sees a growing attendance as a critical stewardship. It’s a starting point not an end point. 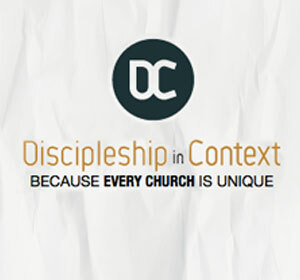 Are there clear next steps not just to “get involved but” to really grow as disciple-making disciples? Is leadership development and people development taking place? Is growing attendance happening under the banner of a vivid sense of the church’s impact for the next 5-10 years? Are we sending as well as we are attracting? Are we managing our culture or letting the growth manage us? Client Profile: David Saathoff leads City Church in San Antonio. Dave has engaged the Vision Framing process several times since he launched the church 20 years ago. He continually manages clarity in the complexity of growth and the messiness of reaching people far from God. He has literally reached thousands with the passion to become catalysts of spiritual and social change in the city. He has one of my favorite mission measures which codifies the practices of “how we live” across a large church community. Even if new people are added at a fast rate, the expectation of disciple-making is delivered at concurrent speed. How do they articulate it? How we live: We listen to God, be the church, share a meal, downsize to maximize, peel the onion, keep our passport current and lean towards green. These are the four types of pastors that excel at vision. Which one are you? I was recently dialoguing with a very successful pastor about the ten-year vision horizon of the large church he pastors. He made a striking comment. 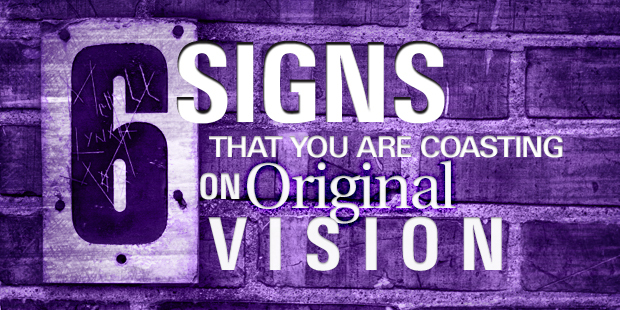 You use adjectives that position the vision as historical: original, founding, previous, last season, former chapter, etc. You have increasing realization of how far you God has taken your ministry in the last five or ten years. You actually feel less excited about a the ideals, aspirations, or pictures of the future you used to have. People around you express ask more questions about the future and show increasing curiosity for things like clarity. You don’t hear younger generations say anything that resembles the vision as it was previously expressed. You have updated your campus or changed your key players once or twice without revisiting the vision. Successful leaders have one trait in common: clarity about what they want out of their organization, what kind of team they want to work with and what they want to accomplish. It’s that laser focus that helps them determine what actions to take and where to spend their energy on a daily basis. Simply put, clarity is what allows you to communicate your vision. Without it, it’s hard to answer even the most basic of questions, like “What does your organization do?” and “Why are you doing what you do?” And, if you can’t articulate your vision, why should you expect anyone to jump on your bandwagon? What is clarity really about? A synthesis of definitions brings clarity to the concept of clarity: it means being free from anything that obscures, blocks, pollutes, or darkens. Being clear as a leader means being simple, understandable, and exact. The leader helps others see and understand reality better. Leaders constantly bring the most important things to light: current reality and future possibility, what God says about it and what we need to do about it. There’s a certain magical, magnetic quality about people that communicate their vision well. They inspire and attract people – even better, they attract help. If you can articulate your organization’s vision with passion and conviction, you’ll be amazed at how easy it is to enlist people into helping you build your organization. That translates into the ability to launch your initiatives faster and with greater success. It’s important to note that achieving clarity of purpose is a continual process; it’s not something you do only in the launching phase. Organizations evolve and leaders must continually evaluate and evolve their vision as the organization changes and grows. Not only does clarity prepare you to take action, it enhances motivation…one of those critical challenges every leader faces. When you clearly visualize the outcome you want in vivid detail and really feel how it feels, it’s hard not to get excited about taking action. Would you like to learn more about clarity for your organization? Connect with an Auxano Navigator and start a conversation with our team. Auxano’s Boot Camps Coming in 2019! Let’s face it, there are much easier things to do than be a leader in the local church. Especially easier than being a pastor leading toward a clear vision. Pastors who are committed to pursuing God’s unique Great Commission call for their church face more than their share of obstacles. Last week, I had some time with three ministers from different parts of the country and varying denominational backgrounds who have all spent the last year in the complex work of leading with the simple clarity of a Vision Frame. These leaders related stories of transitioning staff members in conflict with the vision, and having hard conversations with high-capacity donors, and even watching core families leave the church over personal preferences that fell outside of the church’s defined strategy for making disciples. However, even during difficult days, each pastor could see the value of clarity despite the high cost of leadership. There are much easier things to do in the local church than to lead toward a clear vision. 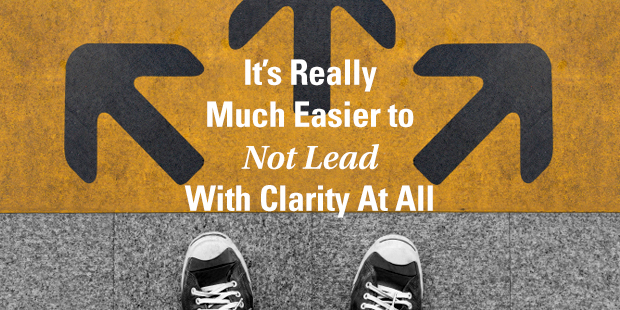 Come to think about it, it’s really much easier to not lead with clarity at all. 1. Hard decisions never have to be made, because every idea is a good idea. 2. Staff meetings are more fun when you can laugh and talk about stuff,without the burden of execution. 3. You can always tell an anecdotal feel good story to refute any criticism, because who can argue with a salvation from 2003? 4. Doing everything and complaining about being busy, obviously makes youimportant and irreplaceable. 5. Besides, it takes too much work to grow and develop leaders, it’s much more simple to just do it yourself. 6. It keeps you from “getting too far ahead” of God… as if that’s even possible. 7. It keeps you dependent on the Holy Spirit, who evidently avoids spreadsheets and thoughtful planning. 8. It keeps you giving all the glory to Jesus when things go well, and confused on who to blame when they don’t. 9. Because the church is no place for business principles like direction, motivation and success measurements. 10. Finally, because there is always another church you can pastor, and you have at least 3 years of good message material. If any of these reasons make you laugh just a bit uncomfortably, maybe it’s time for a leadership gut check. Are you willing to do what it takes, even when it’s not easy, to lead toward God’s vision for your church? Connect with an Auxano Navigator and start a conversation with our team.